It is alarming to suddenly have your legs give out as you take a step. However, you might be surprised to learn that many adults experience sudden leg weakness, and it is not always a serious condition. Of course, that doesn’t make it any less alarming when it happens to you. Pain interventionalist Dr. Catherine Choi talks about the frequency of leg weakness. And she reviews some of the medical conditions that can cause your legs to suddenly give out. How frequently do adults experience leg weakness? Dr. Choi explains that legs can give out for a number of different reasons. In some cases, the cause is temporary and not worrisome. But in other cases, a collapsing leg is a symptom of a serious underlying medical issue. A leg spasm. Any muscle can spasm temporarily and without warning. You may experience this kind of muscle issue while exercising or when you get up suddenly after being stationary for a long period of time. When leg muscles spasm, it can be embarrassing. But it’s not a cause for concern so long as the numbness doesn’t persist. Arthritis damage affecting the tissues and structures of the knee joint can cause joint instability and joint collapse. “If arthritis is affecting joint function, we can evaluate your joint and offer treatments to help with pain and possibly slow joint deterioration. Multiple sclerosis. This autoimmune condition attacks the central nervous system, causing muscle weakness and tightness. It can also cause balance issues. All of these symptoms increase the risk of knee or leg weakness. A torn meniscus. Sudden knee trauma or repetitive wear and tear on knee cartilage may damage the meniscus, leading to interference with knee function. Trapped bone or cartilage fragments. When the knee experiences trauma, broken or torn bits of bone or cartilage may become trapped between the bones in the joint. Torn ligaments. A blow to the knee or a sudden twisting motion can cause ligaments to tear, resulting in knee collapse. Kneecap dislocation. This painful injury occurs when your patella pops fully or partially out of the femur groove. Depending on the severity of the dislocation, the kneecap may feel unstable with sensations of shifting in the joint. A pinched nerve. A pinched nerve in the spine may prevent brain signals from reaching our legs. The symptoms of a pinched nerve can include pain, numbness, tingling or prickling sensations, and muscle weakness in our legs or in other parts of our body. Femoral neuropathy. The femoral nerve is one of the largest nerves in the body and controls muscles that straighten the leg. Femoral neuropathy, or femoral nerve dysfunction, is a condition characterized by inability to feel or move your leg because the femoral nerve is damaged. Causes of nerve damage include direct injury, tumor growth on the spine, prolonged pressure on the spine, and diabetes. A spinal cord injury. Spinal cord injuries are among the most common reasons that legs give out. These injuries vary in severity but should always be evaluated immediately by a spine specialist. 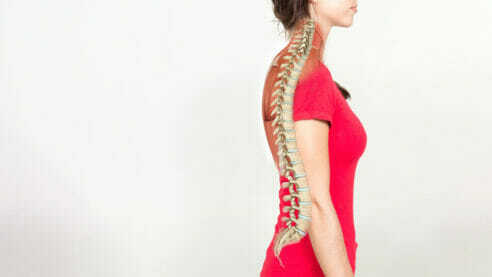 This is important because when traumatic damage to the spine causes nerve damage, there is a risk of paralysis. Medical treatment for buckling legs will depend on the cause and seriousness of the condition. Treatment options range from rest, ice, compression, and elevation for minor injuries to brace and bandage support, physical therapy, or surgery for severe or chronic leg problems.